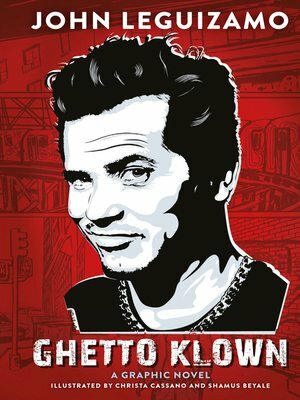 "Ghetto Klown is autobiographical dynamite—this is Leguizamo at his scathing, honest, moving, comedic best. Among the finest portraits of an artist as a young wounded talented man as I've read. "—Junot Díaz"My main Johnny Legs has done it again. Ghetto Klown as a graphic novel? DOPENESS. "—Spike LeeIn Ghetto Klown, celebrated performer John Leguizamo lays bare his early years in blue-collar Queens, his salvation through acting and writing, and his colorful career trajectory. He brings us onto the sets of his films opposite stars such as Al Pacino and Patrick Swayze and with directors such as Baz Luhrmann and Brian De Palma, while also opening up about his offstage life in love and marriage. In this candid graphic novel memoir, Leguizamo offers a strong message of moving beyond self-doubt—and beyond the doubters—to claim some happiness. Originally staged on Broadway in 2011, Ghetto Klown won Leguizamo Drama Desk and Outer Critics Circle Awards before being adapted into an HBO special. Now, teaming up with artists Christa Cassano and Shamus Beyale, Leguizamo shares his life story in this vibrant, funny, and moving adaptation.